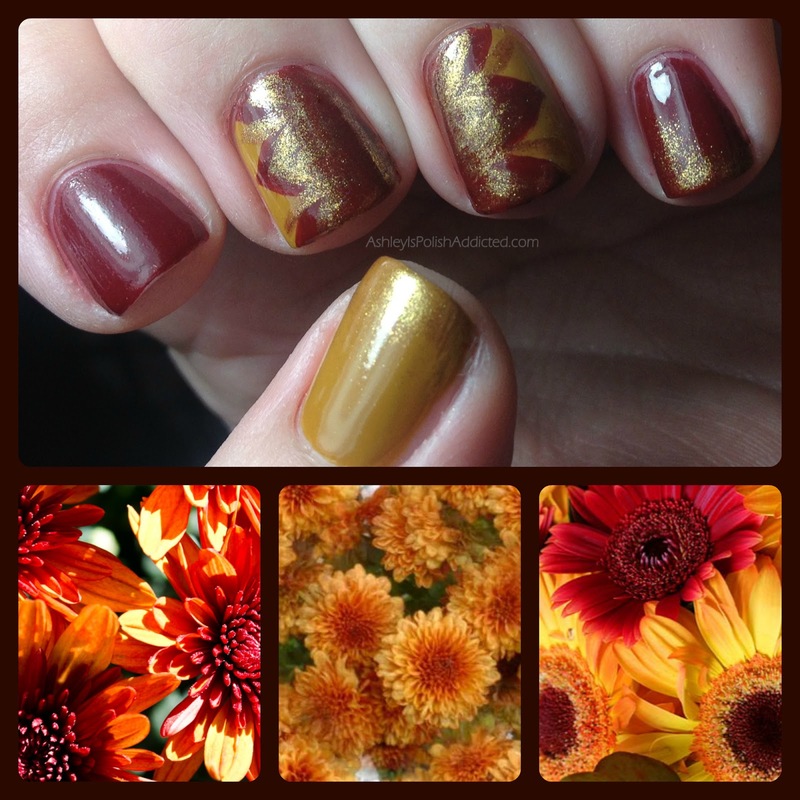 Autumn Week continues with an Autumn Flowers Theme! I did a skittelette featuring and flower on 2 of my fingers. I honestly don't know if there is a flower that looks like this (since I live in the desert and we don't really have "Autumn"), my guess is no since I couldn't find any when googling. But I found several that are close enough! It was late last night and I was lacking inspiration for something I could do that wouldn't take me hours upon hours (typical amount of time for me and nail art lol). I decided to check out some tutorials and I ran across one that my friend Jacki at Adventures in Acetone did upon my request two years ago! (Procrastinate much, Ashley? Sheesh!) I remembered how much I loved it, it's such a delicate, pretty design. It looked like a design that I could do relatively easily so I decided to go for it. To see Jacki's tutorial, click here. For this mani I used 3 Nails Inc. polishes - Hampstead Gardens, Manchester and Old Bond St. I'm really enjoying Autumn Week! I hope you are too! 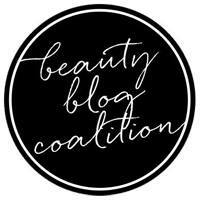 Check out the other awesome manis below! 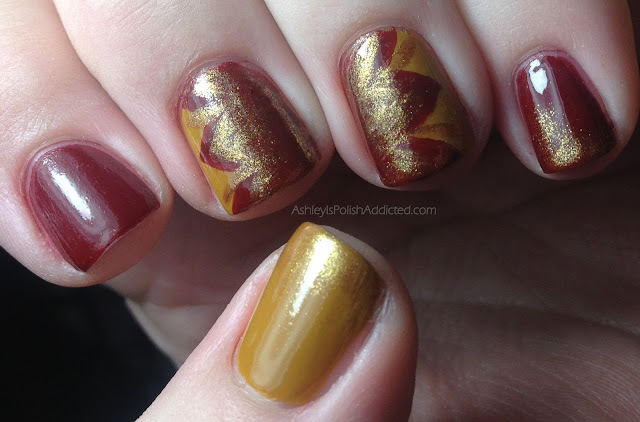 Labels: Autumn , Autumn Week , Fall , flowers , freehand , nail art , Nails Inc. Mums!!!!!! Super lovely!!! Great job for a desert dweller for sure!!! 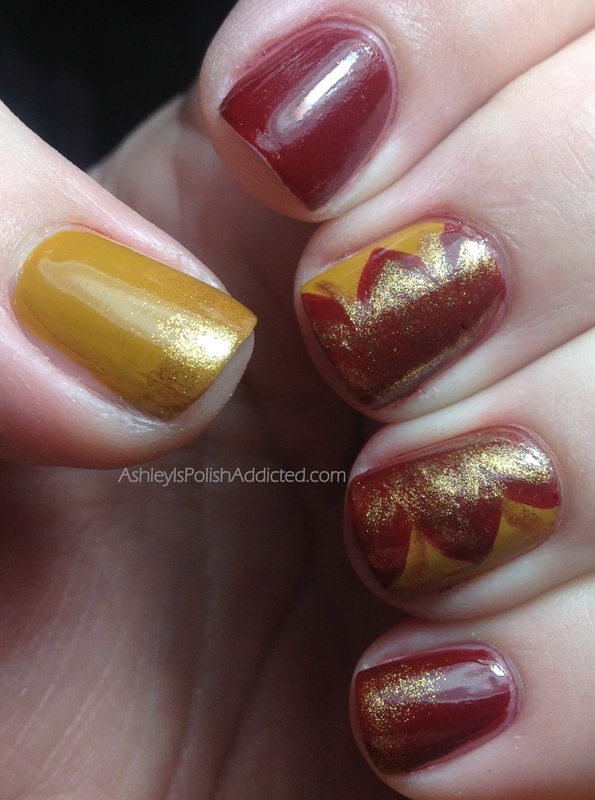 That is very fall looking and I like the glitter gradient you did. This is my favorite time of the entire year!